Mainzer said asteroids in orbits pitched at a similar angle offer not only a hazard, but also an opportunity. They would be easier for spacecraft to reach. "They're a population of interest, and we want to keep an eye on them," she said. NASA says a 40-meter asteroid would strike the Earth with an impact comparable to a 3-megaton nuclear bomb. A 2-km asteroid striking Earth "would produce severe environmental damage on a global scale," the space agency estimates, but an impact of that magnitude isn't likely to occur more than twice per million years. The estimate comes from infrared scans of the cosmos by the 16-inch WISE telescope, which was launched in December 2009. 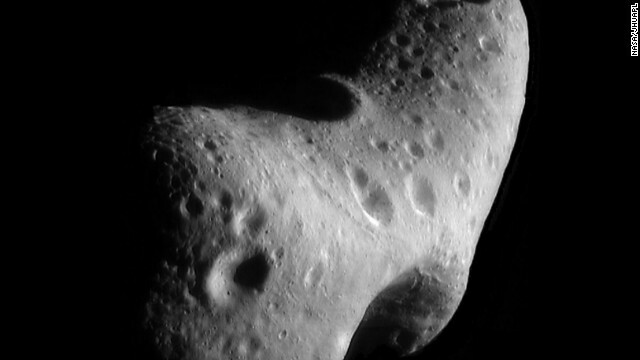 The instruments aboard the satellite allowed scientists to spot close-in asteroids by picking up the heat they emit, Mainzer said. "It allows us to find the very dark asteroids, the ones that are more like a piece of coal and than shiny pavement," she said. "We can also tell the difference between an asteroid that's very large and very dark and a small one that's very shiny." Mainzer said between 20% and 30% of the estimated 4,700 potentially hazardous objects have been discovered so far.